The Clinton campaign added its take on an error-filled New York Times report on a Justice Department inquiry into classified information sent in emails on Hillary Clinton‘s private server. Unhappy with both the original reporting and how the Times handled corrections, Clinton’s communications director, Jennifer Palmieri, sent a roughly 1900-word letter to Times executive editor Dean Baquet. The letter was released to reporters (and posted on Clinton’s website) after Baquet declined to publish the letter in the Times, reported Politico. The letter was released after the Times public editor weighed in and after the paper published an editor’s note on the initial reporting and corrections. Palmieri doesn’t explain how it has come to this “understanding,” but one of the going theories, first reported by Vox’s Jonathan Allen, was that it was House Benghazi committee chair Trey Gowdy who leaked the incorrect information to the Times. I am writing to officially register our campaign’s grave concern with the Times’ publication of an inaccurate report related to Hillary Clinton and her email use. I appreciate the fact that both you and the Public Editor have sought to publicly explain how this error could have been made. But we remain perplexed by the Times’ slowness to acknowledge its errors after the fact, and some of the shaky justifications that Times’ editors have made. We feel it important to outline these concerns with you directly so that they may be properly addressed and so our campaign can continue to have a productive working relationship with the Times. I feel obliged to put into context just how egregious an error this story was. The New York Times is arguably the most important news outlet in the world and it rushed to put an erroneous story on the front page charging that a major candidate for President of the United States was the target of a criminal referral to federal law enforcement. Literally hundreds of outlets followed your story, creating a firestorm that had a deep impact that cannot be unwound. This problem was compounded by the fact that the Times took an inexplicable, let alone indefensible, delay in correcting the story and removing “criminal” from the headline and text of the story. 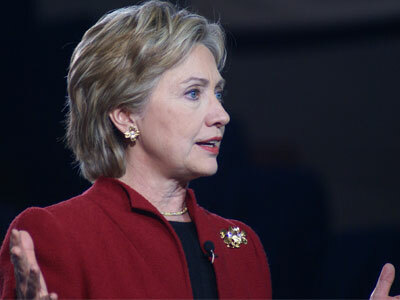 To review the facts, as the Times itself has acknowledged through multiple corrections, the paper’s reporting was false in several key respects: first, contrary to what the Times stated, Mrs. Clinton is not the target of a criminal referral made by the State Department’s and Intelligence Community’s Inspectors General, and second, the referral in question was not of a criminal nature at all.